99–Provide and deliver all materials necessary for an aluminum Floating Fishing pier/walkway and courtesy dock/walkway to Rough River Lake, Grayson County, Kentucky. W912QR-15-T-0067 073015 Kelvin.D.France, (502)315-7409 USACE District, Louisville This is a Synopsis to provide and deliver all materials necessary for an aluminum Floating Fishing pier/walkway and courtesy dock/walkway to Rough River Lake, Grayson County, Kentucky. The contractor shall furnish all materials, supplies, tools, parts, equipment, transportation, labor, supervision, communication, and quality control that will construct a boat ramp, an aluminum fishing pier and a courtesy dock at Rough River Lake Grayson County, Kentucky. All work shall be performed in strict compliance with the attached specifications and all other terms and conditions incorporated herein. This RFP has an approximate issue date of 17 July 2015 with a delivery date within 60 days after award. One award will be made from this Solicitation. This procurement is 100% set-aside for Small Business, NAICS 238990 ($15 million). Note: The contract award will be based on Low Price. The Solicitation will be available by download from the Internet only. Telephone and Fax requests for this solicitation will not be honored. To download the solicitation for this project, contractors are required to register at the Federal Business Opportunities (FedBizOpps) website athttp://www.fbo.gov. Amendments will be available from the FBO website by download only. Prior to submission of proposals all contractors must have an active registration in the System for Award Management (SAM) database. To register or update information go tohttp://www.sam.gov. 99 — Video Engineering Services and Support HHM402-15-R-0032 080515 JACQUELYN E. CONNELL, CONTRACTING OFFICER, Phone 202-231-4674, Email jacquelyn.connell@dodiis.mil – Diana Bradham, Contracting Officer, Phone 202-231-8844, Fax 202-231-6179, Email diana.bradham@dia.mil 1. This combined synopsis/solicitation is issued as a Request for Proposals and any incorporated provisions and clauses are those in effect through Federal Acquisition Circular 2005-41 . The Virginia Contracting Activity is seeking a Small Business to provide Video Engineering Services which encompasses the design, installation, equipment, supply parts for AV requirements to meet DIA needs. The award resulting from this solicitation will be a Blanket Purchase Agreement with an estimated value of $10 million. This is a combined synopsis/solicitation for commercial items prepared in accordance with the format in Subpart 12.6 supplemented with additional information included in this notice. The announcement constitutes the only solicitation; proposals are being requested and a written solicitation will not be issued. 2. For purposes of this solicitation, applicable clauses and provisions are provided. Due to the detailed nature of the description for these services, the Statement of Work describing these services has been uploaded in this notice. Please note Attachments to this Statement of Work. 3. Offerors proposals submitted for this acquisition will be evaluated based on the evaluation criteria uploaded in this notice under Addendum-Attachment B document. 4. This acquisition is a 100% Set-Aside for Small Business. The NAICS code is 334310. 5. The following clauses and provisions are applicable to this solicitation/synopsis: The clause at FAR 52.212-1, Instructions to Offerors-Commercial (Jul 2013) Addendum to this clause is included. The clause at FAR 52.212-2, Evaluation-Commercial Items (Jan 1999), the clause at FAR 52.212-3, Offeror Representations and Certifications – Commercial Items (Jul 2013), the clause at FAR 52.212-4, Contract Terms and Conditions-Commercial Items (Jan 2010). 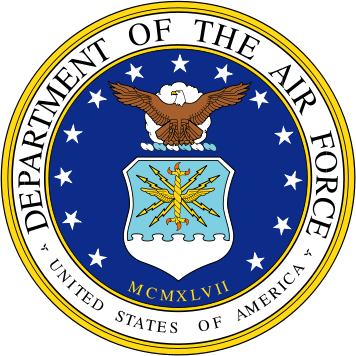 The clause at DFARS 252.212-7001, Contract Terms and Conditions Required to Implement Statutes or Executive Orders Applicable to Defense Acquisitions of Commercial Items. Other FAR/DFARS clauses (indicated by reference) applicable to this solicitation follow: FAR 52.217-8, 52,217-9, 52.219-1, 52.233-4, 52.252-1, DFARS 252.203-7000, 252.204-7003, 252.204-7012, 252.225-7048, 252.232-7010, 252.243-7002, 252.201-7000, 252.204-7003, 252.225-7048, 252.232-7010, 252.243-7002, 252.209-7004, 252.225-7012, 252.232-7000. 6. The clause at DFARS 252.212-7000- Offeror Representations and Certifications-Commercial Items, offerors are instructed to submit a completed copy of the provision at 52.212-3, Offeror Representation and Certifications-Commercial Items with its proposal. An offeror shall complete only paragraph (b) of this provision if the offeror has completed the annual representations and certifications electronically at http://orca.bpn.gov and provide the copy obtained from the site. 7. This combined solicitation/synopsis is for acquisition of the following services: Video Engineering Services which encompasses the design, installation, equipment, supply parts for AV requirements to meet DIA needs. a. Description of requirements is as follows: Design, acquisition installation, integration, removal relocation, upgrades, modifications, replacement operational training and warranty of audio visual (AV) systems. AV systems include but not limited to simple office briefing systems (computer interface to a monitor or television), secure corporate or executive level board rooms, and other capabilities. The Statement of Work will provide further detail on the scope of this requirement . Estimated period of performance of the Blanket Purchase Agreement will be one base (August 18, 2015 through August 17, 2016 and four option periods (August 18, 2016 through August 17, 2020) exercised at the discretion of the Government. 9. Proposals are required to be received in the contracting office no later than 5 August 2015, 10:00 a.m. EST by email submission as directed in the instructions. 10. Any questions regarding this solicitation should be directed to Jacquelyn Connell, Jacquelyn.connell2@dodiis.mil or Diana Bradham, Diana.bradham@dodiis.mil . 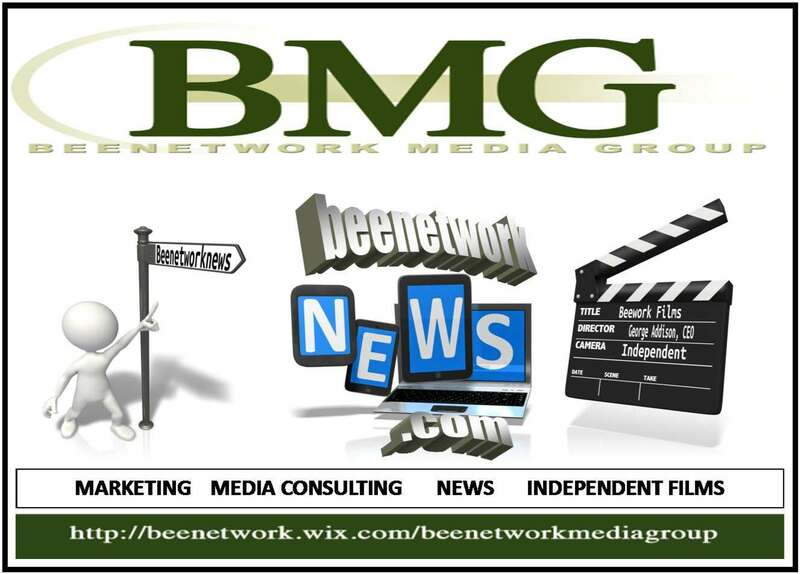 The Office of Media Relations (OMR) is issuing this request for information (RFI) as a means of conducting market research to identify small businesses having the resources and capabilities to produce high-quality consumer-centric videos and public service announcement video productions. This RFI will help OMR to gather the necessary information to determine what actions are required to produce short, animated videos that can be used for educational and/or explanatory purposes. These video productions will serve as a vital tool in generating awareness to help educate the general public and to provide a better understanding of the FCC’s communications infrastructure. The FCC is seeking comments from all interested vendors capable of providing video animation production services. The market research results generated from this RFI may lead to a potential future solicitation. The information you provide will assist the FCC-OMR in assessing the marketplace for these services and to decide on the next steps to support the agency by dispensing information to the public. R — HISTORIAN PUBLICATIONS RESEARCH SUPPORT SERVICES HQ0034-15-T-0165 073015 Janice T. Johnson, Phone 7035451667, Email janice.johnson@whs.mil This is a combined synopsis/solicitation for commercial items prepared in accordance with the format in FAR Subpart 12.6, as supplemented with additional information included in this notice. This announcement constitutes for only solicitation; quotes are being requested and a written solicitation will not be issued. The solicitation number is HQ0034-15-T-0165. This solicitation is a request for quotation (RFQ). This solicitation document and incorporated provisions and clauses are those in effect through the Federal Acquisition Circular (FAC) 2005-83 dated July 2, 2015. This acquisition is set aside 100% for small business. U — Online Video Training Library NAMA-15-Q-0070 073115 Herbert W Connell, Contract Specialist (Contractor), Phone 3018370309, Email herbert.connell@nara.gov – Herbert Connell, Phone 3038370309, Email herbert.connell@nara.gov This is a combined synopsis/solicitation forcommercial items prepared in accordance with the format in FAR Subpart 12.6, Streamlined Procedures for Evaluation and Solicitation for Commercial Items as supplemented with additional information included in this notice. This announcement constitutes the only solicitation; quotations are being requested and a written solicitation will not be issued. The solicitation number is NAMA-15-Q-0070 and is issued as a Request for Quotation (RFQ). The solicitation document and incorporated provisions and clauses are those in effect through Federal Acquisition Circular 2005-83 effective July 2, 2015. This is a full and open RFQ under NAICS 511210, Software Publishers . CONTRACT LINE ITEM NUMBER(S): See Attachment 1, Schedule of Prices. REQUIREMENT : The National Archives and Records Administration (NARA) has a requirement to obtain membership subscriptions for Online Video Training Library. See Attachment 2, Performance Work Statement. PERIOD OF PERFORMANCE: The period of performance will consist of a base year and two (2) option years . The following Federal Acquisition Regulation (FAR) clauses are incorporated and are to remain in full force in any resultant purchase order, with the exception of FAR provisions which will be removed prior to award: FAR 52.212-1 , Instructions to Offerors – Commercial Items (Apr 2014). Addenda: Delete paragraph (h), Multiple Awards . – see below for additional quotation submission instructions. EVALUATION (In lieu of FAR 52.212-2) : Evaluation and award will be in accordance with Simplified Acquisition Procedures at FAR Subpart 13.106, Soliciting Competition, Evaluation of Quotations or Offers, Award and Documentation as prescribed by FAR 12.301(c)(2). Selection of the Contractor to perform this purchase order will be based on NARA’s assessment of the best overall value to the Government. Accordingly, best value for this purchase order will be obtained through a lowest priced technically acceptable evaluation. For evaluation purposes, the Total Purchase Order Firm-Fixed Price will be used to determine the lowest price. The Government will assess whether the Contractor’s solution meets the requirement as outlined in the Performance Work Statement (PWS). The Government will also assess the Government Product/Service Accessibility Template (GPAT) ( S ee Attachment 5, Government Product/Service Accessibility Template for Application/Operating System Software). Exceptions taken to any terms and conditions stated in the RFQ must be clearly outlined on a separate page of the Contractor’s quotation entitled “Exceptions” . The Contractor must also include complete rationale, justification, and the cost impact of each exception noted. The Government reserves the right to make an award on the initial quotation without discussions of this procurement. FAR 52.212-3 , Offeror Representations and Certifications – Commercial Items (Mar 2015) – The offeror shall complete only paragraphs (b) of this provision if the Offeror has completed the annual representations and certification electronically via the System for Award Management (SAM) Web site accessed through https://www.acquisition.gov. If the Offeror has not completed the annual representations and certifications electronically, the Offeror shall complete only paragraphs (c) through (p) of this provision. FAR 52.212-4 , Contract Terms and Conditions – Commercial Items (May 2015) – See Attachment 3, Additional NARA Terms and Conditions (Addenda to FAR clause 52.212-4). FAR 52.212-5, Contract Terms and Conditions Required to Implement Statutes or Executive Orders –Commercial Items (May 2015) – see Attachment 4, FAR Clauses for the full text of this clause and for additional applicable FAR clauses . Full text provisions and clauses can be found at https://www.acquisition.gov. QUESTIONS : Questions regarding this RFQ must be submitted in writing to Mr. Herbert Connell at herbert.connell@nara.gov no later than 12:00 PM ET on July 22, 2015 to be considered. Questions submitted in any other manner will not be answered. The Government will answer questions or requests for clarification via a written RFQ amendment. RFQ CLOSE DATE : Quotations should be received by 12:00 PM ET on July 31, 2015 . Failure to submit quotations by the due date and time may result in rejection of the quotation as untimely. Contractors submitting via e-mail are cautioned to allow one extra business day for delivery and confirm receipt of quotation as the e-mail will need to pass through IT security. QUOTATION SUBMISSION INSTRUCTIONS : NARA requests that contractors email one (1) copy of the quotation to: herbert.connell@nara.gov. However, contractors may mail one (1) hardcopy and one (1) CD of each quotation. Mailed quotations must be sent to: National Archives and Records Administration, Attention: Mr. Herbert Connell, 8601 Adelphi Road, Room 3340, College Park, MD 20740-6001. Presolicitation/Solicitation for Spot Cooler for Kadena AB. cancels this solicitation, the Government has no obligation to reimburse an offeror for any costs. 1. This is a combined synopsis/solicitation for commercial items and services prepared in accordance with the format in Subpart 12.6, as supplemented with additional information included in this notice. This announcement constitutes the only solicitation; quotes are being requested and a written solicitation will not be issued. The solicitation FA5270-15-A057 is being issued as a Request for Quotation. All responsible sources may submit a quote. 2. This acquisition is a full and open competition in regards to size standards. The applicable North American Industry Classification System (NAICS) code is 238220 Plumbing, Heating, and Air- Conditioning Contractors. 3. This document and incorporated provisions and clauses are those in effect through Federal Acquisition Circular (FAC) 2005-81, 10 Apr 2015. 4. The Government contemplates an award of a Firm Fixed Price resulting from this solicitation. This requirement will be for full and open competition, there is no small business set-aside. 5. The contractor shall provide all parts and material necessary to install Spot Cooler and all related components in building Kadena AB. See attachment for a description, quantities, and units of measure for the items to be acquired. 6. This combined synopsis & solicitation notice is a request for competitive quotations. Therefore, all capability statements or quotations received prior to the RFQ close date will be considered. responsible offeror whose offer is technically acceptable and represents the best value in terms of price to the government. 8. All questions should be directed to A1C Miranda Christensen at Miranda.Christensen@us.af.mil. Questions must be received no later than 0300 PM JST, 22 July 2015. Offers for this requirement are due no later than 0300 PM JST, 24 July 2015. It is the vendor’s responsibility to monitor the FedBizOps site for amendments issued in reference to this requirement. All Contractors who provide goods/services to the DOD must be registered in the SYSTEM FOR AWARD MANAGEMENT (SAM). Online Certifications and Representations are also required. Failure to comply with SAM registration may deem offeror ineligible for award. *Shipping will be to the Government Container Consolidation Point at Tracy, California. * Contractors outside of the continental U.S. may include proposed method of shipping to Okinawa Japan in their offer. So long as they realize they are then responsible for the customs documents. *All quotes must remain valid until 30 September 2015. *Delivery Schedule: FOB Destination to Tracy, California within 90 days from date of award. *Offerors must submit detailed descriptions of the systems proposed to include specifications sheets and warranty info. “Administrative proceeding” means a non-judicial process that is adjudicatory in nature in order to make a determination of fault or liability (e.g., Securities and Exchange Commission Administrative Proceedings, Civilian Board of Contract Appeals Proceedings, and Armed Services Board of Contract Appeals Proceedings). This includes administrative proceeding at the Federal and State level but only in connection with performance of a Federal contract or grant. It does not include agency actions such as contract audits, site visits, corrective plans, or inspection of deliverables. (b) The offeror [_] has [_] does not have current active Federal contracts and grants with total value greater than $10,000,000. (d) The offeror shall post the information in paragraphs (c)(1)(i) through (c)(1)(iv) of this provision in FAPIIS as required through maintaining an active registration in the System for Award Management database via https://www.acquisition.gov (see 52.204-7). (4) Clearly describe any modification the offeror plans to make in a product to make it conform to the solicitation requirements. Mark any descriptive material to clearly show the modification. A. To assure timely and equitable evaluation of proposals, offerors must follow the instructions contained herein. Offerors are required to meet all solicitation requirements, including terms and conditions, representations and certifications, and technical requirements, in addition to those identified as evaluation factors or subfactors. Offerors must clearly identify any exception to the solicitation terms and conditions and provide complete accompanying rationale. The response shall consist of three (3) separate parts; Part I – Summary and Miscellaneous Data, Part II – Price Proposal, and Part III – Technical Proposal. 1. PART I – SUMMARY AND MISCELLANEOUS DATA. Submit original plus one (1)copy. (a) The offeror shall provide a concise summary and master table of contents of the entire proposal. (b) Combined Synopsis/Solicitation. Complete all necessary fill-ins. In doing so, the offeror accedes to the contract terms and conditions as written in the solicitation. (c) Complete the necessary fill-ins and certifications in provisions and in the on-line Representations and Certifications at http://www.sam.gov. Return the provision FAR 52.212-3, Offeror Representations and Certifications – Commercial Items, along with the proposal. For other provisions and clauses in the solicitation, the offeror is required to submit the pages that require an offeror fill-in. (d) Submit an acknowledgment of the all solicitation amendments, if issued. 2. PART II – PRICE PROPOSAL – Submit original plus one (1) copy. (a) Insert proposed unit price(s) and extended amount(s) in the Schedule of Supplies/Services for each Contract Line Item Number (CLIN) or Sub CLIN (SCLIN), including all option periods. The extended amount must equal the unit price multiplied by the number of units. It is imperative that mathematical calculations are correct; particular care should be taken to ensure the amounts match when using the EXCEL program and the rounding of figures, limited to two decimal places. (b) Extreme care should be exercised to ensure that no price data of any kind are included in any other Part of the proposal. 3. PART III – TECHNICAL PROPOSAL – Limited to no more than fifty (50) pages. Submit original plus one (1) copy. 1. Requirements of the solicitation (CLINs and PWS) and government standards and regulations pertaining to the PWS. 2. FAR 52.212-2, Evaluation – Commercial Items, of this solicitation. 3. If a Part in a quote exceeds the specified page limit cited in the Part Content, the excessive pages will not be evaluated. (a) The quotes will be on 8 1/2″ x 11″ paper, except for fold-outs used for charts, tables, or diagrams, which may not exceed 11″ x 17″. (b) A page is defined as one face of a sheet of paper containing information. Two pages may be printed on one sheet of paper. (c) All printing shall be single-spaced. Spacing characteristics are applicable to charts and graphs. (d) Typing shall not be less than 10 pitch. Size of print is applicable to charts and graphs. (e) Page margins shall be a minimum of 1 inch top, bottom, and each side. (f) In addition to the paper copies specified for each Part, one electronic copy of each Part of the entire offer must be submitted. The electronic version of the proposal shall be submitted in a format readable by Microsoft Office 2007 which includes software programs such as WORD, EXCEL, or PowerPoint. For those pages of the proposal that cannot be submitted using Microsoft Office, such as the Standard Form 1449, offerors shall include those pages electronically using Adobe Acrobat portable document files (.pdf) format. The Price Part shall be submitted in spreadsheet format, such as EXCEL, and MS WORD for price narrative. The electronic version shall be submitted on a compact disc (CD). USB flash drives, floppy disks, and zip disks are not acceptable. Indicate on each CD the Part number and title. The paper copies and electronic versions shall be identical in all respects. In the event there are any discrepancies between the paper copies and electronic copies, the paper copies take precedence and will be used for evaluation. Ensure the electronic documents stored on the CD can be opened. Use separate files and folders to permit rapid location of all portions, including exhibits and attachments, if any. Replacement CDs will be required to update the final proposal resulting from any discussions and updates, if applicable. (i) Each Part shall be complete in itself and shall not reference information contained in other Parts. Page 1 of a Part is defined as the first page after the Table of Contents. All pages shall be numbered. (j) Price data of any kind shall be presented only in the Price Proposal Part. (k) Elaborate formats, bindings, and color presentations are not desired or required. 2. The sealed envelope or package used to submit your proposal must show the time and date specified for receipt, the solicitation number, and the name and address of the offeror. (b) Options. The government will evaluate offers for award purposes by adding the total price for all options to the total price for the basic requirement. The government may determine that an offer is unacceptable if the option prices are significantly unbalanced. Evaluation of options will not obligate the government to exercise the option(s). (c) A written notice of award or acceptance of an offer, mailed or otherwise furnished to the successful offeror within the time for acceptance specified in the offer, will result in a binding contract without further action by either party. Before the offer’s specified expiration time, the government may accept an offer (or part of an offer), whether or not there are negotiations after its receipt, unless a written notice of withdrawal is received before award. (1) Summary and Miscellaneous Data. The government will evaluate summary and miscellaneous data proposals on a pass/fail basis and assign an Acceptable or Unacceptable rating as described in Table 1 below. Acceptable Proposal meets the requirements of the solicitation. Unacceptable Proposal does not meet the requirements of the solicitation. (2) Price Evaluation Factor. The government will rank all offers by Total Evaluated Price or TEP. The price evaluation will document the fairness and reasonableness of the TEP. Total Evaluated Price: A TEP will be computed for each offer in order to meet the requirements of FAR Parts 6 and 17. The TEP will be evaluated by adding CLINs 0001 thru 0004. LPTA (Lowest Price Technically Acceptable) shall be utilized in evaluating offerors. (4) Offerors are cautioned to submit sufficient information and in the format specified in 52.212-1, Instructions to Offerors – Commercial Items, of this solicitation. Offerors may be asked to clarify certain aspects of their proposals. Exchanges conducted to resolve minor or clerical errors will not constitute discussions and the contracting officer reserves the right to award a contract without the opportunity for proposal revision. The government intends to award a contract without discussions with respective offerors. The government, however, reserves the right to conduct discussions if deemed in its best interest. The Offeror shall complete only paragraph (b) of this provision if the Offeror has completed the annual representations and certification electronically via the System for Award Management (SAM) Web site accessed through http://www.acquisition.gov. If the Offeror has not completed the annual representations and certifications electronically, the Offeror shall complete only paragraphs (c) through (p) of this provision. (2) Labor regulations including collective bargaining agreements, workers’ compensation, working conditions, fringe benefits, and labor standards or labor contract matters. (b) The Contractor indemnifies and holds harmless the United States Government from all claims arising out of the requirements of this clause. This indemnity includes the Contractor’s obligation to handle and settle, without cost to the United States Government, any claims or litigation concerning allegations that the Contractor or the United States Government, or both, have not fully complied with local labor laws or regulations relating to the performance of work required by this contract. (c) Notwithstanding paragraph (b) of this clause, consistent with paragraphs 31.205-15(a) and 31.205-47(d) of the Federal Acquisition Regulation, the Contractor will be reimbursed for the costs of all fines, penalties, and reasonable litigation expenses incurred as a result of compliance with specific contract terms and conditions or written instructions from the Contracting Officer. (3) 52.233-4, Applicable Law for Breach of Contract Claim (OCT 2004) (Public Laws 108-77 and 108-78 (19 U.S.C. 3805 note)). X (1) 52.203-6, Restrictions on Subcontractor Sales to the Government (Sept 2006), with Alternate I (Oct 1995) (41 U.S.C. 4704 and 10 U.S.C. 2402). ____ (2) 52.203-13, Contractor Code of Business Ethics and Conduct (Apr 2010) (41 U.S.C. 3509). X (4) 52.204-10, Reporting Executive Compensation and First-Tier Subcontract Awards (July 2013) (Pub. L. 109-282) (31 U.S.C. 6101 note). X (8) 52.209-6, Protecting the Government’s Interest When Subcontracting with Contractors Debarred, Suspended, or Proposed for Debarment. (Aug, 2013) (31 U.S.C. 6101 note). X (9) 52.209-9, Updates of Publicly Available Information Regarding Responsibility Matters (July 2013) (41 U.S.C. 2313). ____ (19) 52.219-14, Limitations on Subcontracting (NOV 2011) (15 U.S.C. 637(a)(14)). ____ (20) 52.219-16, Liquidated Damages-Subcon-tracting Plan (Jan 1999) (15 U.S.C. 637(d)(4)(F)(i)). ____ (25) 52.222-3, Convict Labor (June 2003) (E.O. 11755). ____ (26) 52.222-19, Child Labor-Cooperation with Authorities and Remedies (JAN 2014) (E.O. 3126). ____ (27) 52.222-21, Prohibition of Segregated Facilities (Feb 1999). ____ (28) 52.222-26, Equal Opportunity (Mar 2007) (E.O. 11246). X (29) 52.222-35, Equal Opportunity for Veterans (Jul 2014)(38 U.S.C. 4212). X (30) 52.222-36, Equal Opportunity for Workers with Disabilities (July 2014) (29 U.S.C. 793). X (31) 52.222-37, Employment Reports on Veterans (July 2014) (38 U.S.C. 4212). X (40) 52.223-18, Encouraging Contractor Policies to Ban Text Messaging While Driving (Aug 2011) (E.O. 13513). X (43) 52.225-5, Trade Agreements (Nov 2013) (19 U.S.C. 2501, et seq., 19 U.S.C. 3301 note). X (44) 52.225-13, Restrictions on Certain Foreign Purchases (June 2008) (E.O.’s, proclamations, and statutes administered by the Office of Foreign Assets Control of the Department of the Treasury). X (50) 52.232-33, Payment by Electronic Funds Transfer-System for Award Management (July 2013) (31 U.S.C. 3332). X (54)(i) 52.247-64, Preference for Privately Owned U.S.-Flag Commercial Vessels (Feb 2006) (46 U.S.C. Appx. 1241(b) and 10 U.S.C. 2631). (d) Comptroller General Examination of Record. The Contractor shall comply with the provisions of this paragraph (d) if this contract was awarded using other than sealed bid, is in excess of the simplified acquisition threshold, and does not contain the clause at 52.215-2, Audit and Records–Negotiation. (iii) 52.222-17, Nondisplacement of Qualified Workers (MAY 2014) (E.O. 13495). Flow down required in accordance with paragraph (l) of FAR clause 52.222-17. (x) _____ (A) 52.222-50, Combating Trafficking in Persons (March 2, 2015) (22 U.S.C. chapter 78 and E.O. 13627). X (B) Alternate I (March 2, 2015) of 52.222-50 (22 U.S.C. chapter 78 and E.O. 13627). (xvii) 52.222-55, Minimum Wages Under Executive Order 13658 (DEC 2014) (Executive Order 13658). (b) continue to maintain it until performance is completed. The Contractor shall insert, in all subcontracts under this contract to which the Defense Base Act applies, a clause similar to this clause (including this sentence) imposing upon those subcontractors this requirement to comply with the Defense Base Act. (2) continue to maintain it until performance is completed. The Contractor shall insert, in all subcontracts under this contract to which the Defense Base Act would apply but for the waiver, a clause similar to this paragraph (a) (including this sentence) imposing upon those subcontractors this requirement to provide such workers’ compensation insurance coverage. (b) This paragraph applies if the Contractor or any subcontractor under this contract employs any person who, but for a waiver granted by the Secretary of Labor, would be subject to the War Hazards Compensation Act (42 U.S.C. 1701, et seq.). On behalf of employees for whom the applicability of the Defense Base Act (and hence that of the War Hazards Compensation Act) has been waived, the Contractor shall, subject to reimbursement as provided elsewhere in this contract, afford the same protection as that provided in the War Hazards Compensation Act, except that the level of benefits shall conform to any law or international agreement controlling the benefits to which the employees may be entitled. In all other respects, the standards of the War Hazards Compensation Act shall apply; e.g., the definition of war-hazard risks (injury, death, capture, or detention as the result of a war hazard as defined in the Act), proof of loss, and exclusion of benefits otherwise covered by workers’ compensation insurance or the equivalent. Unless the Contractor elects to assume directly the liability to subcontractor employees created by this clause, the Contractor shall insert, in all subcontracts under this contract to which the War Hazards Compensation Act would apply but for the waiver, a clause similar to this paragraph (b) (including this sentence) imposing upon those subcontractors this requirement to provide war-hazard benefits. (a) Protests, as defined in section 33.101 of the Federal Acquisition Regulation, that are filed directly with an agency, and copies of any protests that are filed with the Government Accountability Office (GAO), shall be served on the Contracting Officer (addressed as follows) by obtaining written and dated acknowledgment of receipt from Ms. Rubyann Prout, 18th Contracting Squadron, Building 99, Kadena AB, APO AP 96368. (2) Was convicted of a felony criminal violation under any Federal law within the preceding 24 months, where the awarding agency is aware of the conviction, unless the agency has considered suspension or debarment of the corporation and made a determination that this action is not necessary to protect the interests of the Government. (2) It is [ ] is not [ ] a corporation that was convicted of a felony criminal violation under a Federal law within the preceding 24 months. (d) Information and guidance pertaining to DoD antiterrorism/force protection can be obtained from The appropriate Antiterrorism Force Protection Office at the Command Headquarters. Also see https://atep.dtic.mil. (2) Any “Native” as defined in the Alaska Native Claims Settlement Act (43 U.S.C. 1601 et seq.). “Indian organization” means the governing body of any Indian tribe or entity established or recognized by the governing body of an Indian tribe for the purposes of 25 U.S.C. Chapter 17. “Indian-owned economic enterprise” means any Indian-owned (as determined by the Secretary of the Interior) commercial, industrial, or business activity established or organized for the purpose of profit, provided that Indian ownership constitutes not less than 51 percent of the enterprise. “Indian tribe” means any Indian tribe, band, group, pueblo, or community, including native villages and native groups (including corporations organized by Kenai, Juneau, Sitka, and Kodiak) as defined in the Alaska Native Claims Settlement Act, that is recognized by the Federal Government as eligible for services from BIA in accordance with 25 U.S.C. 1452(c). “Interested party” means a contractor or an actual or prospective offeror whose direct economic interest would be affected by the award of a subcontract or by the failure to award a subcontract. (2) Owned and controlled by a Native Hawaiian as defined in 25 U.S.C. 4221(9). (b) The Contractor shall use its best efforts to give Indian organizations, Indian-owned economic enterprises, and Native Hawaiian small business concerns the maximum practicable opportunity to participate in the subcontracts it awards, to the fullest extent consistent with efficient performance of the contract. (c) The Contracting Officer and the Contractor, acting in good faith, may rely on the representation of an Indian organization, Indian-owned economic enterprise, or Native Hawaiian small business concern as to its eligibility, unless an interested party challenges its status or the Contracting Officer has independent reason to question that status. The BIA will determine the eligibility and will notify the Contracting Officer. The Department of Hawaiian Home Lands will determine the eligibility and will notify the Contracting Officer. (2) If a subcontractor is determined to be an ineligible participant. (f)(1) The Contractor, on its own behalf or on behalf of a subcontractor at any tier, may request an incentive payment in accordance with this clause. (2) The incentive amount that may be requested is 5 percent of the estimated cost, target cost, or fixed price included in the subcontract at the time of award to the Indian organization, Indian-owned economic enterprise, or Native Hawaiian small business concern. (3) In the case of a subcontract for commercial items, the Contractor may receive an incentive payment only if the subcontracted items are produced or manufactured in whole or in part by an Indian organization, Indian-owned economic enterprise, or Native Hawaiian small business concern. (5) The Contracting Officer, subject to the terms and conditions of the contract and the availability of funds, will authorize an incentive payment of 5 percent of the estimated cost, target cost, or fixed price included in the subcontract awarded to the Indian organization, Indian-owned economic enterprise, or Native Hawaiian small business concern. (6) If the Contractor requests and receives an incentive payment on behalf of a subcontractor, the Contractor is obligated to pay the subcontractor the incentive amount. (g) The Contractor shall insert the substance of this clause, including this paragraph (g), in all subcontracts exceeding $500,000. (3) Permitted by the laws and regulations of the Contractor’s country. (b) In no event shall copies of this contract or of any plans, specifications, or other similar documents relating to work under this contract, if marked “Top Secret,” “Secret,” or “Confidential” be furnished to any assignee of any claim arising under this contract or to any other person not entitled to receive such documents. However, a copy of any part or all of this contract so marked may be furnished, or any information contained herein may be disclosed, to such assignee upon the Contracting Officer’s prior written authorization. (a) An ombudsman has been appointed to hear and facilitate the resolution of concerns from offerors, potential offerors, and others for this acquisition. When requested, the ombudsman will maintain strict confidentiality as to the source of the concern. The existence of the ombudsman does not affect the authority of the program manager, contracting officer, or source selection official. Further, the ombudsman does not participate in the evaluation of proposals, the source selection process, or the adjudication of protests or formal contract disputes. The ombudsman may refer the party to another official who can resolve the concern. (c) If resolution cannot be made by the contracting officer, concerned parties may contact MAJCOM ombudsman, CMSgt James B. Ting, HQ AFICA/KH, Hickam AFB, HI 96853-5427, phone number (315)449-8569, e-mail address james.ting@us.af.mil. Concerns, issues, disagreements, and recommendations that cannot be resolved at the MAJCOM Ombudsman level may be brought by the concerned party for further consideration to the Air Force ombudsman, Associate Deputy Assistant Secretary (ADAS) (Contracting), SAF/AQC, 1060 Air Force Pentagon, Washington DC 20330-1060, phone number (703) 588-7004, facsimile number (703) 588-1067. The contractor will submit requests for gasoline or diesel oil tax exemption certificates to the Contracting Officer. This request will show the actual amount of gasoline or diesel oil used exclusively for the performance of this contract, with documentary evidence and detailed item breakdown to certify the accurate consumption o gasoline or diesel, or other necessary information and data as may be required. The Contracting Officer will issue to the contractor a Tax Exemption Certification for the actual amount of gasoline or diesel oil used exclusively for the performance of this contract. The contractor shall claim all tax and customs exemptions as listed in paragraph “EXEMPTION FROM JAPANESE CUSTOMS DUTIES AND TAXES PURSUANT TO STATUS OF FORCES AGREEMENT”. (a) Paragraph 2, Article XI of the Status of Forces Agreement between Japan and the United States, authorizes the United States entry into Japan free from Japanese customs duties and all other charges on materials, supplies and equipment imported for the official use of the United States Armed Forces or for the exclusive use of such forces or ultimately to be incorporated into articles or facilities used by such forces. (b) Paragraph 3, Article XII of said Status of Forces Agreement, authorizes the United States exemption from certain Japanese taxes for materials, supplies, equipment and services procured for official purpose in Japan by the United States Armed Forces or by authorized agencies of the United States Armed Forces. Currently, these taxes are: (1) Gasoline tax and local road tax on gasoline; (2) Diesel oil tax; (3) Liquefied petroleum tax, and (4) consumption tax. (c) If you are the successful offeror, the Contracting Officer or his authorized representative will issue customs or tax exemption taxes in accordance with procedures agreed upon between the Government of Japan and the United States of America. Tax exemption certificates for either at the end of each month or upon termination of the contract. These can be applied against future purchases of motor fuel. They will be issued only to you as the prime contractor, so, if you employ a subcontractor or supplier who uses motor fuel, you must purchase the motor fuel to secure the exemption. (d) List below the customs duties or taxes which have been excluded from your proposal as required by the Taxes Clause. Contractor must claim all customs and tax exemptions to which the U.S. Government is entitled. Mark “SEND” for each, then “SUBMIT”. This contract contains DFARS Clause 252.232-7003, Electronic Submission of Payment Requests. This clause requires invoices for supplies and services purchased by the DoD be submitted via electronic means. The Wide Area Workflow (WAWF) system satisfies this mandatory requirement. WAWF can be accessed on the internet at https://wawf.eb.mil/ . Before using WAWF, ensure your company’s Electronic Business POCs listed in your System for Award Management (SAM) are the same individuals that will invoice through WAWF. If they aren’t, changes can be made to your company’s SAM profile at http://www.sam.gov. Click on “Update” or “Renew” using “TPIN”. SAM customer support can be reached at 1-888-227-2423. If your company’s electronic businesses POCs are correct, contact the WAWF helpdesk at 1-866-618-5988 or by e-mail at cscassig@ogden.disa.mil and ask to establish a group for your company’s CAGE code. The group administrator will also have to call the WAWF helpdesk to request account activation. Once the group is established and the account is activated, your company will be able to create a combination invoice/receiving report using the codes below and instructions available from our contract administrator/buyer. Questions concerning payment should be directed to the Defense Finance Accounting Services (DFAS) Air Force Pacific at 011-81-3117-55-3068. Please have the order number and invoice number ready when calling about payment status. The accounts payable mailing address can be located in Block 18a of the order. Payment information can be easily accessed using the DFAS web site at http://www.dfas.mil. The purchase order/contract number or invoice will be required to inquire status of payment. Go to DFAS on the web at: www/dfas.mil/money/vendor.. Please submit proof of delivery documents for each line item and quantity shipped under each TCN number along with invoice to ensure payment is made in timely manner. Please ensure that delivered packages are traceable if lost or stolen. If freight charges exceed $100.00, a copy of the carrier’s freight bill or other evidence of receipt must be furnished with invoice. The receipt must show amount of shipping charges and be signed by company’s representative. If freight charges exceed the amount on the purchase order, you must receive authorization by the contracting office prior to shipment and/or receive alternate shipping instructions. Failure to obtain prior authorization may result in the government paying a lesser amount. The government will only pay fair and reasonable transportation charges as established by current market rates. Failure to comply with these procedures may delay or preclude you from receiving payment for freight charges. Vendor will ensure that all items are delivered by delivery date. Upon receipt of supplies or services, the requesting activity will prepare a Receiving Report (DD Form 250, DD Form 1155, SF 1449 or a letter) and send it to address in block 18a, and 1 copy to the Contracting Office address in block 9. Receiving Reports must be submitted within 6 working days after receipt of merchandise. These instructions apply to shipments originating in the United States destined for Okinawa, Japan. Shipments 0-70 pounds and within size limitations: Ship prepaid by the least costly small package carrier or the United States Postal Service. Any direct charge for prepaid cost will be listed as a separate item on the invoice for the supplies shipped. Submit a copy of the transportation or freight bill with the invoice for cost verification. Failure to provide a copy of the paid freight bill may result in the contractor not being fully reimbursed for freight charges. Contractors shall not divide quantities into small parcels of 0-70 pounds for the purpose of avoiding shipment by other modes of transportation. Contractors shall not insure shipments at Government expense for the purpose of recovery in case of loss or damage, except where minimum insurance is required for the purpose of obtaining receipts at point of origin and upon delivery. Shipments 0-70 pounds NOT within size limitations, or shipments 71 pounds and over: Ship prepaid by commercial surface (water), or the least costly small package carrier. If this is not possible, ship item(s) through the Defense Transportation System. a. All shipments must be packaged, marked and labeled in accordance with DoD 4500.9R, Defense Transportation Regulation, Part II, Cargo Movements and MIL-STD 129. Shipments considered hazardous must be prepared in accordance with Title 49, Code of Federal Regulation-Transportation, and the International Maritime Dangerous Goods Code (IMDGC). b. All shipments must be marked “For Export”. c. The shipment and all paperwork must be annotated with the transportation control number (TCN) the ultimate destination and purchase order (P.O) number. Use of the military shipping label (DD Form 1387) is encouraged, but not required. d. All shipments must be on “heat treated” pallets. CONTRACTOR MUST USE SHIPPING LABELS PROVIDED BY THE GOVERNMENT TO AVOID LOSS/FRUSTRATED CARGO. environment(handles temperatures up to 113F). Condensation Tank Capacity: 5 gallon. Dimension: 19? (W) x 29? (D) x 47?(H. Presolicitation/Solicitation for MATTRESS/BOXSPRINGS for Kadena AB. 1. This is a combined synopsis/solicitation for commercial items and services prepared in accordance with the format in Subpart 12.6, as supplemented with additional information included in this notice. This announcement constitutes the only solicitation; quotes are being requested and a written solicitation will not be issued. The solicitation FA5270-15-A058 is being issued as a Request for Quotation. All responsible sources may submit a quote. 2. This acquisition is a full and open competition in regards to size standards. The applicable North American Industry Classification System (NAICS) code is 423210 Furniture Merchant Wholesalers. 5. This combined synopsis & solicitation notice is a request for competitive quotations. Therefore, all capability statements or quotations received prior to the RFQ close date will be considered. 7. All questions should be directed to A1C Miranda Christensen at Miranda.Christensen@us.af.mil. Questions must be received no later than 0300 PM JST, 24 July 2015. Offers for this requirement are due no later than 0300 PM JST, 31 July 2015. It is the vendor’s responsibility to monitor the FedBizOps site for amendments issued in reference to this requirement. All Contractors who provide goods/services to the DOD must be registered in the SYSTEM FOR AWARD MANAGEMENT (SAM). Online Certifications and Representations are also required. Failure to comply with SAM registration may deem offeror ineligible for award. * Contractors include proposed method of shipping to Okinawa Japan are responsible for the customes documents. The TEP will be evaluated by adding CLIN 000. LPTA (Lowest Price Technically Acceptable) shall be utilized in evaluating offerors. (c) If resolution cannot be made by the contracting officer, concerned parties may contact MAJCOM ombudsman, CMSgt Gene L. Eastman, AFICA/KH (OL-PAC), Hickam AFB, HI 96853-5427, phone number (315)449-8569, e-mail address gene.eastman@us.af.mil. Concerns, issues, disagreements, and recommendations that cannot be resolved at the MAJCOM Ombudsman level may be brought by the concerned party for further consideration to the Air Force ombudsman, Associate Deputy Assistant Secretary (ADAS) (Contracting), SAF/AQC, 1060 Air Force Pentagon, Washington DC 20330-1060, phone number (703) 588-7004, facsimile number (703) 588-1067. Before using WAWF, ensure your company’s Electronic Business POCs listed in your System for Award Management (SAM) are the same individuals that will invoice through WAWF. If they aren’t, changes can be made to your company’s SAM profile at http://www.sam.gov Click on “Update” or “Renew”. SAM customer support can be reached at 1-888-227-2423. CLIN 0004 MUST MATCH BOXSPRING IN COLOR/STYLE. FULL SIZE BOXSPRING (53″ x 75″ x 6-8″H) FORMED WIRE BOXSPRING UNIT INSULATED WITH A BONDED INSULATOR PAD. CORNER EDGEBANDING FOR SAFETY AND COMFORT. R–Bio-hazardous waste removal – Cincinnati 539-15-3-6083-0019 VA25015Q0325 072215 Alexander J Daniel Contracting-Contract Specialist (513)559-3721 alexander.daniel@va.gov In accordance with FAR Part 10, Market Research, this is a sources sought to determine the availability of potential sources/vendors having the skills and capabilities necessary to provide all labor, equipment and material necessary for the removal and disposal of bio-hazardous waste from the Department of Veterans Affairs Medical Center located at 3200 Vine Street, Cincinnati, Ohio 45220 and it’s associated outpatient care centers. All interested contractors are invited to provide information to contribute to this market survey/sources sought including, commercial market information. This sources sought notice is for information and planning purposes only, and shall not be construed as a solicitation or as an obligation on the part of the Department of Veterans Affairs (VA). The VA is currently conducting market research to locate qualified, experienced and interested potential sources relative to NAICS 562112. Responses will not be considered as proposals, nor will any award be incurred by interested parties in responding to this sources sought announcement. It is anticipated that the contractor will pick-up bio-medical waste from Building number one (1) at dock, five (5) times per week (Monday through Friday) between the hours 5:00 a.m. – 8:00 a.m. The other facilities listed under the Cincinnati VA Medical will be scheduled on “as needed” basis. No pick-up service is to be performed on Saturdays, Sundays and Holidays except with prior arrangement. The term “Bio-Medical Waste” as used herein, shall include only those wastes defined by the United States Environmental Protection Agency (USEPA) as infectious waste in its Guide for Infectious Waste Management #EPA/530-SW-86-014, or defined by the USEPA as medical waste in 40CFR259.30 and any other wastes identified as infectious waste in any other applicable federal, state, county or municipal laws, regulations and guidelines. Contractors having the skills and capabilities necessary to perform the stated requirements should submit a response of no more than 15 pages in length, single spaced, 12 point font minimum. The Government will not review any other data or attachments that are in excess of the 15 pages. Companies should provide clear and unambiguous evidence to substantiate their capability to fulfill these requirements. 1. Company name and address. 2. Company point of contact name, telephone number and email address. 3. Is your business large or small? 4. If small, does your firm qualify as a small, emerging business, or small disadvantaged business? 6. Is your firm a certified Hub zone firm? 7. Is your firm a woman-owned or operated business? 8. Is your firm a certified Service-Disabled Veteran or Veteran Owned Small business (SDVOSB or VOSB)? 11. Is your firm registered with the System for Award Management (SAM) at https://www.sam.gov/portal/SAM/#1? If not, please register as soon as possible. 12. If the company holds a Federal Supply Schedule (FSS) Contract, list the GSA Contract Number and relevant SINS. 13. Does your firm have a website address? Please provide. 14. Are you AHIMA certified? 15. Capabilities/Qualifications: A written response providing clear and unambiguous evidence to substantiate the capacity to fulfill this requirement. Description of the capabilities/qualifications/skills your company possesses to perform services described in the scope of work. 16. Do you need to subcontract any portion of work to provide these services stated herein? 17. Past Experience: Brief summary of the company history relative to similar requirements. Offer may provide the following information on a maximum of three similar projects for which the responder was a prime or subcontractor. a. The name, address, and value of each project. b. The Prime Contract Type, Firm Fixed-Price, or Time and Material. c. The name, telephone and address of the owner of each project. d. A description of each project and why it is relevant to this requirement. Include difficulties and successes. e. Your company’s role and services provided for each project. 18. What are the common qualifications of the people who are providing these services? Telephone and faxed responses will not be accepted nor responded to. It is requested that the above information be provided no later than 7/22/2015 at 10:00AM EST. Responses should be emailed to Michael Groneman, Michael.Groneman@va.gov and Alex Daniel, Alexander.Daniel@va.gov. The NAVSUP Fleet Logistics Center in Jacksonville (FLCJ) is conducting a market survey to determine the availability of vendors capable of providing a variety of medical and public affairs photography support using various digital (still and video) formats and graphics software forcommercial, editorial and medical applications including patient medical and legal photography, digital photography to include macro photography, scientific and technical photography including forensic, ceremonies, command portraits, special events, customer service, residency graduations and historic documentations for the Medical Treatment Facility (MTF). The NAICS Code for this requirement is 541922, Commercial Photography, and the Size Standard is $7.5M. 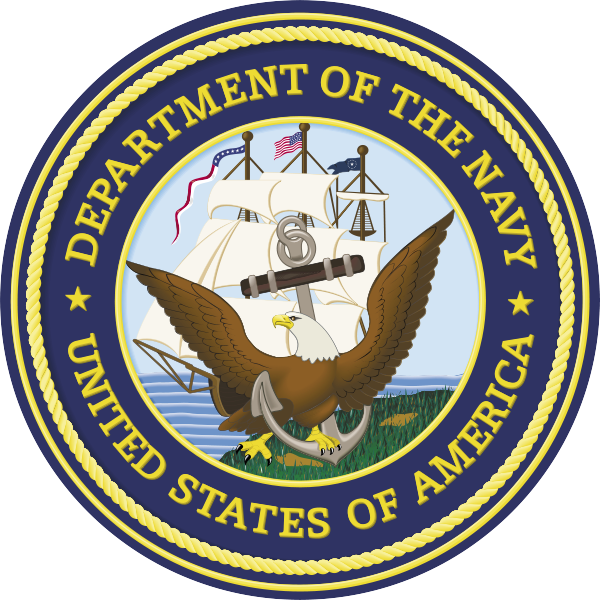 Interested vendors are requested to submit a capability statement outlining their ability to meet or exceed this requirement no later than 1:00PM (Eastern Standard Time), Tuesday, July 28,2015, to Libia Axilote at libia.axilote@navy.mil stating the following information: (1) Solicitation Number N68836-15-T-0308; (2) Company name, address, POC name, phone number, fax number and email; (3) Contractor (CAGE Code); (4) Size of business – Large Business, Small Business, Small Disadvantage, 8(a), HubZone, Woman-owned and/or Veteran-owned; (5) If the Items can be solicited from a General Services Administration (GSA) schedule contract vehicle or Open market; (6) Relevant corporate experience. Relevant corporate experience is defined as experience (within the past five years) that is of the same or similar scope, and of the same or similar complexity to that which is described in the PWS The Government will use the result of this announcement to determine whether the acquisition of the above described requirement should be solicited as a Small Business Set-Aside, or whether Full and Open Competition procedures will be utilized. Submissions are Not-To Exceed (NTE) 10 Standard typewritten pages. All technical questions and inquiries may be submitted within the response. DISCLAIMER: THIS SOURCES SOUGHT NOTICE IS FOR INFORMATIONAL AND PLANNING PURPOSES ONLY. THIS IS NOT A REQUEST FOR PROPOSAL. IT DOES NOT CONSTITUTE A SOLICITATION AND SHALL NOT BE CONSTRUED AS A COMMITMENT BY THE GOVERNMENT. RESPONSES IN ANY FORM ARE NOT OFFERS AND THE GOVERNMENT IS UNDER NO OBLIGATION TO AWARD A CONTRACT AS A RESULT OF THIS ANNOUNCEMENT. NO FUNDS ARE AVAILABLE TO PAY FOR THE PREPARATION OF RESPONSES TO THIS ANNOUNCEMENT. ANY INFORMATION SUBMITTED BY RESPONDENTS TO THIS SOURCES SOUGHT NOTICE IS STRICTLY VOLUNTARY. The Iowa Army National Guard’s (IARNG) Midwest Counterdrug Training Center (MCTC) has a requirement for Technical Instruction Services for an Undercover for Narcotics course. The IARNG anticipates award on or about 3 September 2015. Initial award will be for two (2) iterations of the course between award and 30 September 2015; with four (4) options for six (6) additional iterations each year at dates and locations to be determined. Final option period will not exceed 30 September 2019. The requested course is required to provide a minimum five-day, 40-hour block of instruction for up to 50 military personnel, law enforcement officers, prosecutors and law enforcement support staff. The course should be designed for law enforcement officers who directly supervise or participate in narcotics-related undercover operations providing them with knowledge and capabilities to perform activities related to undercover operations. Q1: Is there an Incumbent Company providing this service already or is this a new requirement? A1: There is no incumbent for this service; it is a new requirement. Q2: Is there a Past Performance requirement? Can a Company show Capability VS Past Performance? A2: There is a past performance requirement; no past performance is judged quote mark neutral. quote mark Companies can provide capability vs. past performance if necessary. Q3: What will the Government provide to facilitate this training (IE Classrooms, Audio/Video, Vehicles for PEs, any training aids or facilities)? A3: Government will provide classrooms and AV Equipment; contractor will be required to provide all other training aids and their own travel/transportation. Details will be provided in the RFP. Q4: In regards to the Legal reviews and classes, is this geared towards local, state, or federals Drug laws? A4: Courses must cover all applicable local, state and federal law. Q5: The anticipated Award date is 3 SEP 15, When is the earliest that the Government would like training to start? A5: 1st Course will need to be scheduled ASAP after award date and before 30 September 2015. Q6: When is the latest date that training can start? A6: 30 September 2015 for the first class. Q7: Are classes to be run concurrent or can they be run back to Back? A7: Course will most often be conducted in different weeks, not concurrent or back-to-back. Q8: What is the required student to Instructor ratio for the classes and PE? A8: Desired ratio is 20:1 with max 40 students in a class. Q9: Is the Government desire to award all four solicitations to one Company or Multiple awards? A9: The Government anticipates multiple awards. The Iowa Army National Guard’s (IARNG) Midwest Counterdrug Training Center (MCTC) has a requirement for Technical Instruction Services for a Roadside Interdiction Operations Interview course. The IARNG anticipates award on or about 3 September 2015. Initial award will be for one (1) iteration of the course between award and 30 September 2015; with four (4) options for four (4) additional iterations each year at dates and locations to be determined. Final option period will not exceed 30 September 2019. The requested course is required to provide a minimum four-day, 32-hour block of instruction for up to 50 law enforcement officers. The course must be designed to provide law enforcement officers with the observational skills, listening skills, ability to analyze the answers provided by the person being interviewed along with the knowledge of the indications of narcotic trafficking activity during traffic stops and individual encounters/contacts with people without instigating a confrontation. A1: There is no incumbent; this is a new requirement. A7: Course will most often be conducted in different weeks, but may be conducted at two locations during the same week. A8: Desired ratio is 40:1 with max 40 students enrolled. 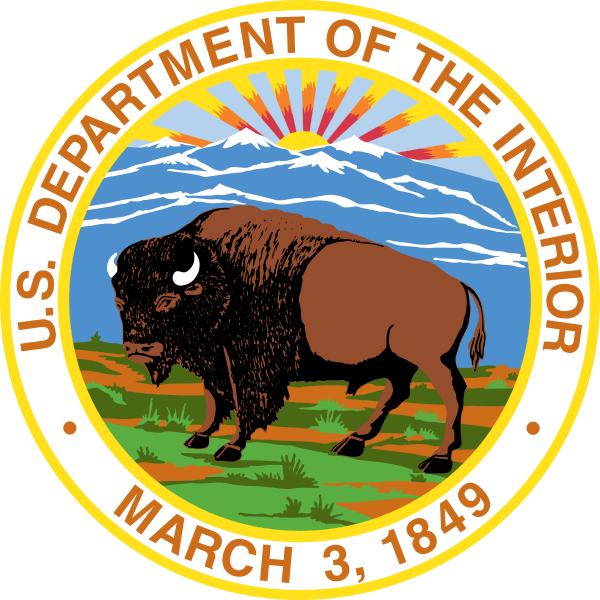 Department of the Interior, U. S. Geological Survey, USGS – All Offices, USGS OAG SACRAMENTO ACQUISITION BR. R–ID/IQ Contract for Design Storm Workshop Facilitator G15PS00514 082015 Peck, Theodore W. The United States Geological Survey (USGS) intends to award an indefinite delivery/indefinite quantity contract in accordance with the procedures of FAR Part 12 entitled “Acquisition of Commercial Items” using simplified acquisition procedures in accordance with FAR Part 13. Acquisition of the following services is planned: Facilitation services for design workshops that employ the principles of design thinking and user-centered design, and unite USGS staff with a multi-disciplinary assortment of researchers, practitioners, and users of USGS products, all for the purpose of improving the understanding and use of USGS hazard science. As required by FAR 5.101(a)(1), the forthcoming solicitation (G15PS00514) will be made available through the GPE on or about 21 July 2015, whether or not competitive opportunities have been identified. All responses must be in writing by hard copy to the Contracting Officer by e-mail to tpeck@usgs.gov. For further information, please contact Ted Peck by e-mail at tpeck@usgs.gov. R –– VIDEO PRODUCERS (OFFICE OF POLICY) BBG50-RFP-15-006JR 072215 CHARLES B HILL JR, CONTRACTING OFFICER, Phone 202.382.7846, Email chill@bbg.gov – Rehema Daya, Contract Specialist, Phone 2022034658, Fax 2022034658, Email rdaya@bbg.gov This is a combined synopsis/solicitation for commercial items prepared in accordance with the format in Subpart 12.6, as supplemented with additional information included in this notice. This announcement constitutes the only solicitation; proposals are being requested and a written solicitation will not be issued. This combined synopsis/solicitation is issued as a Request for Proposals (RFP) to establish Multiple Award Blanket Purchase Agreement. There will be no guaranteed minimum quantities purchased and the Government will be obligated only to the extent of authorized calls placed against the resulting Agreement. The Government intends to award one Multiple Award Blanket Purchase Agreement; however, the Government reserves the right not to award any Blanket Purchase Agreement. Any resultant Blanket Purchase Agreement will be for two years. The Broadcasting Board of Governors, Office of Contracts intends to establish a Multiple Award Blanket Purchase Agreement for Multimedia services as described in further detail below for the Office of Policy in Washington D.C. see attachment A. This acquisition is being issued under the authority of Federal Acquisition Regulation (FAR) Part 13. SAM: System for Award Management (SAM) applies to this procurement. You must be registered in SAM in order to be eligible to receive an award from this solicitation. Information on SAM registration and annual confirmation requirements may be obtained via the Internet athttp://www.sam.gov. Prospective contractors must be registered in SAM database prior to award. Lack of registration in SAM database will make an offeror ineligible for award. CONTRACTORS MUST COMPLY WITH FAR 52.204-99 System for Award Management (SAM) Registration (August 2012) (DEVIATION). NAICS Code: The North American Industry Classification System (NAICS) code for this acquisition is 711510 and 541840 with a small business size standard of $7,000,000.00 in average annual receipts for the past 3 years. Please identify your business size in your response based upon this standard. This requirement will be a 100% Total Small Business. VOA is a 24/7 news/ program operation and the schedule will vary depending on the need of the government. The Contracting Officer Representative will make the determination at the time of award. **52.252-1 — Solicitation Provisions Incorporated by Reference (Feb 1998). This solicitation incorporates one or more solicitation provisions by reference, with the same force and effect as if they were given in full text. Upon request, the Contracting Officer will make their full text available. The offeror is cautioned that the listed provisions may include blocks that must be completed by the offeror and submitted with its quotation or offer. In lieu of submitting the full text of those provisions, the offeror may identify the provision by paragraph identifier and provide the appropriate information with its quotation or offer. *FAR clause 52.212-4, Contract Terms and Conditions-Commercial Items, applies to this acquisition. Interested contractors are required to submit two (2) separate written documents (proposals) to the BBG. 1. A Price Proposal that states the Offeror’s proposed annual Total Price based on a 2,080 hours work-year that may be negotiated with the BBG. 2. Technical Proposal (Resume) that states in detail the Offeror’s experience, qualifications and evidence of the Offeror’s pertinent past performance that can be easily and quickly validated by the BBG. Dates (months/years) and locations for all field experience must also be detailed. 3. Eligibility to work in the United States: copy of US Citizenship, work permit, photo ID and/or visa. 6. In the event offerors did not complete the responsibility and certification portion of the SAM registration they shall include completed copy of the provision at FAR Subpart 52.212-3 (Offeror Representations and Certifications – Commercial Items) with its offer. This provision can be found at the following website https://www.acquisition.gov/Far/; if requested by an offeror, a copy of FAR subpart 52.212-3 can be obtained by contacting the Contracting Officer. To ensure consideration for the intended position, please reference the solicitation number on your proposal. Proposals and questions must be submitted electronically to OOPRFP@bbg.gov . The deadline to submit questions is July 20 2015. Answers will be posted on July 21, 2015. (The following factors are used to determine the competitive ranking of qualified potential contractors in comparison to other contractors. The factors are listed in priority order from highest to least.). The procurement is being conducted under FAR Part 13. Best value is defined as the expected outcome of an acquisition that, in the Government’s estimation, provides the greatest overall benefit in response to the requirement, in accordance with FAR 2.101. The Government reserves the right to make a selection based upon the initial proposal submissions so the offeror should submit its best terms in the initial proposal. The Government may also determine to make no award. Multiple offerors will be selected who are deemed responsible in accordance with FAR 9.104-1 and whose offer provides the Government with a best value solution. R–Design Workshop Facilitation Services G15PS00514 082015 Peck, Theodore W. The United States Geological Survey (USGS) intends to award an indefinite delivery/indefinite quantity contract in accordance with the procedures of FAR Part 12 entitled “Acquisition of Commercial Items” using simplified acquisition procedures in accordance with FAR Part 13. Acquisition of the following services is planned: Facilitation services for design workshops that employ the principles of design thinking and user-centered design, and unite USGS staff with a multi-disciplinary assortment of researchers, practitioners, and users of USGS products, all for the purpose of improving the understanding and use of USGS hazard science. T — JECA INTERPRETIVE VIDEO SOL P15PS02030 Description INTERPRETIVE VIDEO FOR JEWEL CAVE NATIONAL MONUMENT Overview Reference number: P15PS02030 Issue date: 07/17/2015 Response due: 08/28/2015 10:00 AM ET Set Aside: Total Small Business NAICS: 512110-Motion Picture and Video Production PSC / FSC: T006-PHOTO/MAP/PRINT/PUBLICATION- FILM/VIDEO TAPE PRODU Agency: DOI Contracting office: NPS, HFC – Acquisition Management 67 Mather Place IDC Building Harpers Ferry, WV 25425 Place of Performance: Contact: Jason Albright Phone: Fax: Email: Vendors conference: Location: Details: For more information about this opportunity please contact the buyer directly. T — CRMO INTERPRETIVE VIDEO SOL P15PS02028 Description Interpretive Video for Craters of the Moon National Monument Overview Reference number: P15PS02028 Issue date: 07/17/2015 Response due: 08/28/2015 10:00 AM ET Set Aside: Total Small Business NAICS: 512110-Motion Picture and Video Production PSC / FSC: T006-PHOTO/MAP/PRINT/PUBLICATION- FILM/VIDEO TAPE PRODU Agency: DOI Contracting office: NPS, HFC – Acquisition Management 67 Mather Place IDC Building Harpers Ferry, WV 25425 Place of Performance: Contact: Jason Albright Phone: Fax: Email: Vendors conference: Location: Details: For more information about this opportunity please contact the buyer directly. R — Design Workshop Facilitation Services SOL G15PS00514 Description The United States Geological Survey (USGS) intends to award an indefinite delivery/indefinite quantity contract in accordance with the procedures of FAR Part 12 entitled Acquisition of Commercial Items using simplified acquisition procedures in accordance with FAR Part 13. Acquisition of the following services is planned: Facilitation services for design workshops that employ the principles of design thinking and user-centered design, and unite USGS staff with a multi-disciplinary assortment of researchers, practitioners, and users of USGS products, all for the purpose of improving the understanding and use of USGS hazard science. As required by FAR 5.101(a)(1), the forthcoming solicitation (G15PS00514) will be made available through the GPE on or about 21 July 2015, whether or not competitive opportunities have been identified. All responses must be in writing by hard copy to the Contracting Officer by e-mail to tpeck@usgs.gov. For further information, please contact Ted Peck by e-mail at tpeck@usgs.gov. Overview Reference number: G15PS00514 Issue date: 07/21/2015 Response due: 08/20/2015 05:00 PM ET Set Aside: Total Small Business NAICS: 541613-Marketing Consulting Services PSC / FSC: R408-SUPPORT- PROFESSIONAL: PROGRAM MANAGEMENT/SUPPORT Agency: DOI Contracting office: USGS OAG SACRAMENTO ACQUISITION BR. MODOC HALL, CSUS 3020 STATE UNIVERSITY DRIVE EAST SACRAMENTO, CA 95819-6027 Place of Performance: Contact: Theodore Peck Phone: Fax: Email: Vendors conference: Location: Details: For more information about this opportunity please contact the buyer directly. R – Accountants SOL RFP32-2015 Due Date: 08/05/2015 Accounting Services for Historic Fayette County Courthouse Rehabilitation Project For more information about this opportunity please contact the buyer directly. R – Legal Services SOL RFP31-2015 Due Date: 08/05/2015 Legal Services for Historic Fayette County Courthouse Rehabilitation Project For more information about this opportunity please contact the buyer directly. 99 – Concert Promoter 2016 SOL UK-1612-16 Due Date: 7-31-15 Concert Promoter 2016 For more information about this opportunity please contact the buyer directly. R – Individual Bagging Sealing System (For Nutrition Services) #7132 SOL Individual Bagging Sealing System (For Nutrition Services) #7132Bid closes @ 3:00 p.m. on August 10, 2015 For more information about this opportunity please contact the buyer directly. 76 – Bid #RC16001 – Production of the 2015 Utah Film Commission Photo SOL Due Date: Bid Bid #RC16001 – Production of the 2015 Utah Film Commission Photobook and Brochure For more information about this opportunity please contact the buyer directly. R — Concert Promoter 2016. SOL UK-1612-16. DUE 07/31/2015 Phone: (859) 257-9100; Website: http://www.uky.edu/Purchasing/bidlist.htm For more information about this opportunity please contact the buyer directly. This notice is provided by the Kentucky Procurement Technical Assistance Center (KY PTAC). The information is believed to be correct, but should be verified with the issuing agency/organization. R — Auditing Services. SOL DUE 08/17/2015 The West KY Regional Industrial Development Authority is requesting proposals for audit services. Only licensed Certified Public Accountants may respond to the RFP. To obtain a copy of the RFP, please contact: Carl Sims, Regional Planner Green River Area Development Distric,t 300 GRADD Way Owensboro, KY 42301, Phone:270-926-4433. Proposals must be submitted and received no later than 3:00p.m. (CDT) on August 17, 2015.This notice is provided by the Kentucky Procurement Technical Assistance Center (PTAC). The information is believed to be correct, but should be verified with the issuing agency/organization. R — Potential Construction Subcontracting Opportunities – Diverse Businesses Requested. SOL Phone: (270) 487-1784; Fax: (270) 487-8029; website http://www.clearyconst.com BID Date: 07/16/15: BID TIME: 2:00 PM. Cleary Construction, Inc. is inviting quotes on the following. Project: CHESTNUT STREET & COLLEGE STREET SYSTEM IMPROVEMENTS. Project Location: HARRODSBURG, KY. Quotes Requested for the following subcontractors: Clearing, Trucking, Asphalt, Fencers, Concrete Work, Video Taping, Erosion, Surveying, Restoration, etc. Quotes Requested for the following materials: Pipe and appurtenances, Manholes, Precast Structures, Stone, Concrete. Additional Information: We would greatly appreciate any and all DBE/MBE/WBE participation. Plans Available at the following location(s): Cleary Construction, Inc., 2006 Edmonton Road, Tompkinsville, KY 42167. Telephone Number: 270-487-1784. Project Contact Information: Name: Ryan Cornwell Phone: 270-487-1784 Email: estimating@clearyconst.com. This notice is provided by the Kentucky Procurement Technical Assistance Center (PTAC). The information is believed to be correct, but should be verified with the issuing agency/organization. 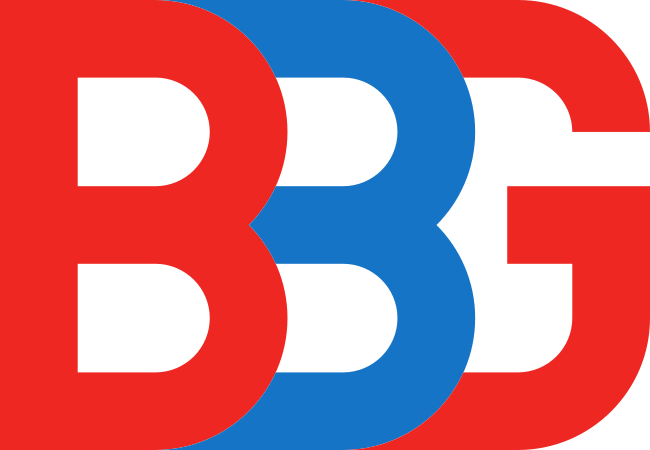 FedBid.com , Register for free at http://www.FedBid.com and enter the Buy number to find out more about the bid solicitation below. 99 — Knives and Multi-Purpose Survival Tools. SOL 732699 DUE 07/28/2015 FedBid.com-8500 Leesburg Pike, Vienna, Virginia 22182; Phone: 877.933-3243: Email: Info@FedBid.com Miscellaneous; Buy: 732699; Buy Name: Knives and Multi-Purpose Survival Tools; Buy Setaside: Small Business; Subcategory: 9999 – Miscellaneous Items; Buyer Organization: ARMYNG – Kentucky; Buy Shipping Address State: Kentucky; Open Date: 7/15/2015; End Datetime: 7/28/2015 12:00. This notice is provided courtesy of the Kentucky Procurement Technical Assistance Center (PTAC). The information is believed to be correct, but should be verified with the issuing agency/organization.